Nesting: Can a wardrobe be fun? The wardrobes in our house are a depressing mess. But not at Klara Ripa´s home. No. And added a few things to make it even more practical. 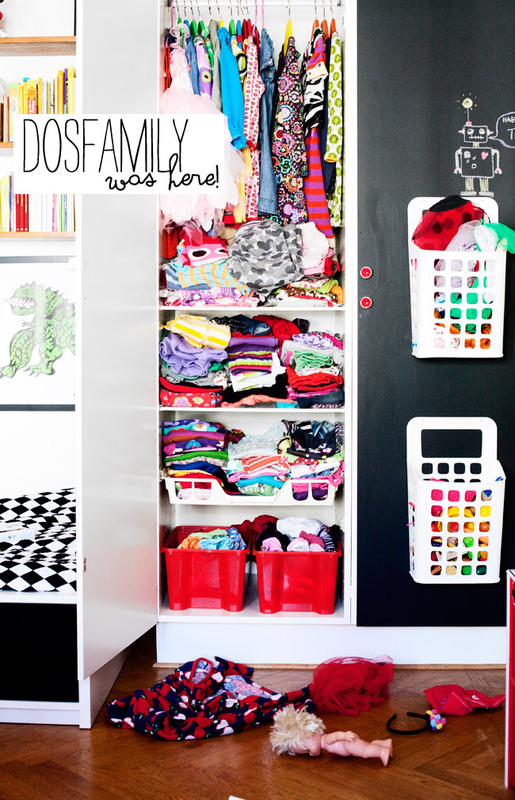 Like hooks and Ikea´s trash basket (genius!!) Rationell Variera for extra storage. BOOM! all that color hits you like a slap in the face. YES! This i like a lot! We’re house hunting at the moment, and when we move in to our new home I want a huge blackboard area, in a really genius place. Like a whole wall. And good luck on the house hunting! Superlike! Så ska vi ha det!